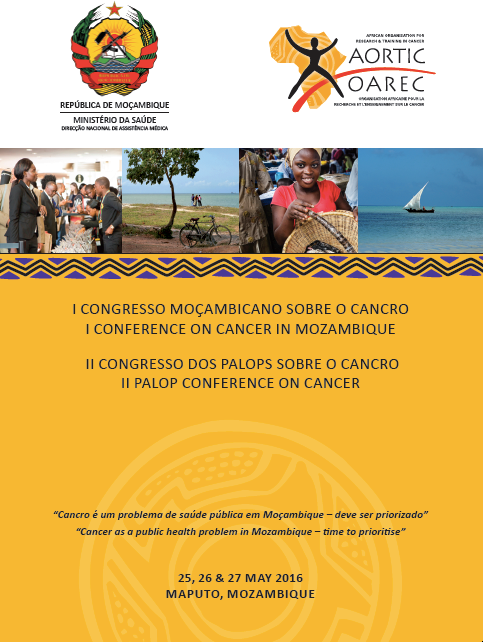 Saw 150 delegates from the PALOP (Portuguese speaking countries in Africa) meet to discuss “Cancer as a public health problem in Mozambique – should it be prioritized” including international speakers from UK, Brazil & North America. This meeting was a collaboration between & supported by AORTIC & the Mozambican Ministry of Health. This meeting brought to the fore what treatment exists, rather than optimal treatment, for the cancer patient & solutions, including support from the Government, can make a change in the lives of the cancer patient. PALOP conferences takes place every 2 years. Watch this space for where & when the next PALOP conference will be happening! PALOP Region: Mozambique, Angola, Guinea Bissau, Cape Verde Islands, Principe & Sao Tome Islands.